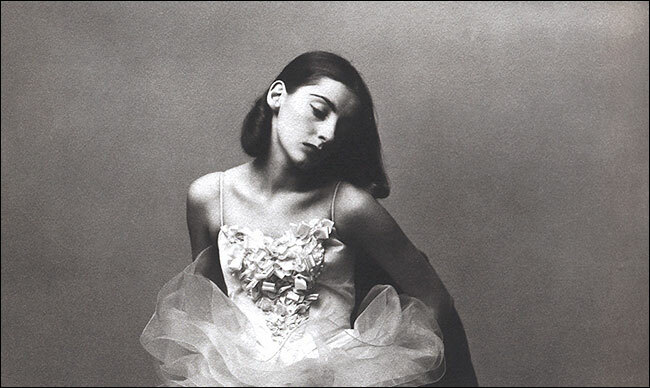 Most of the general public won’t recognize the name Tanaquil LeClercq, but ballet fans of a certain age absolutely will. For them – that is, us – it will evoke pleasure, mournfulness and curiosity. A star of the New York City Ballet, LeClercq was muse to both George Balanchine (she was the most important influence on his work until Suzanne Farrell came along; also, later, his wife) and Jerome Robbins. Her career was meteoric and major, but tragically short – in 1956, in her mid-20s, LeClercq contracted polio. She spent the rest of her life in a wheelchair. It’s a heartrending, fascinating story that’s also cloaked in a degree of mystery. From the start, LeClercq was always elusive; after her dancing-days were finished, she pretty much withdrew from public life. With Afternoon of a Faun: Tanaquil LeClercq, documentarian Nancy Buirski becomes the first person to tell us the larger story, 50-plus years after it happened. At least as valuable here is the amount of material Buirski found – still photographs, letters and journal entries, and (Eureka!) substantial if incomplete films of LeClercq in performance. Afternoon will be self-recommending to some audiences, but I think – I hope – others will also see it. As a movie, it’s hit-and-miss. Much of the narrative is provided through interviews – some on-camera, some purely voice-overs – with a handful of LeClercq’s friends and colleagues, of whom NYCB premier danseur Jacques D’Amboise is both the most famous and the most compelling. (I should clarify, since Buirski does not, that one of her narrators – NYCB dancer Pat McBride Lousada – is not the same person as the better-known ballerina, Patricia McBride). There are also two actors whose voices are heard reading correspondence between LeClercq and Jerome Robbins. When Buirski cuts away to photographs and films of LeClercq – and she does, often – it isn’t always clear who is speaking. Buirski pursues the story in a way that’s both logical and chronological, but also a little stolid. (About half the 90-minute film focuses on LeClercq’s ballet career, the other half on her life after.) I presume it’s in the service of gallantry that certain issues – including, pivotally, the ups-and-downs of LeClercq’s personal relationships with Balanchine and Robbins – are handled with deliberate vagueness. Balanchine’s infatuation with Suzanne Farrell is very oddly presented – the narrators speak about it obliquely without mentioning her by name, while the screen fills with images of the two of them working intimately together. One of the shortest excerpts is, for me, the most magical. While still a teenager and student at the School of American Ballet, LeClercq is seen in a white leotard, dancing what I believe is Four Temperaments (it’s uncredited here) in a way that is already so personal and magisterial that there’s no doubt about what electrified Balanchine. It’s as if his trademark choreographic style was invented on the spot – and we are there to see it.